It will enhance the look of any corner of your house or office. Used in various occasions like Diwali, Ganesh Utsav. Quick to place and easy to remove. Very light weight and easy to handle. 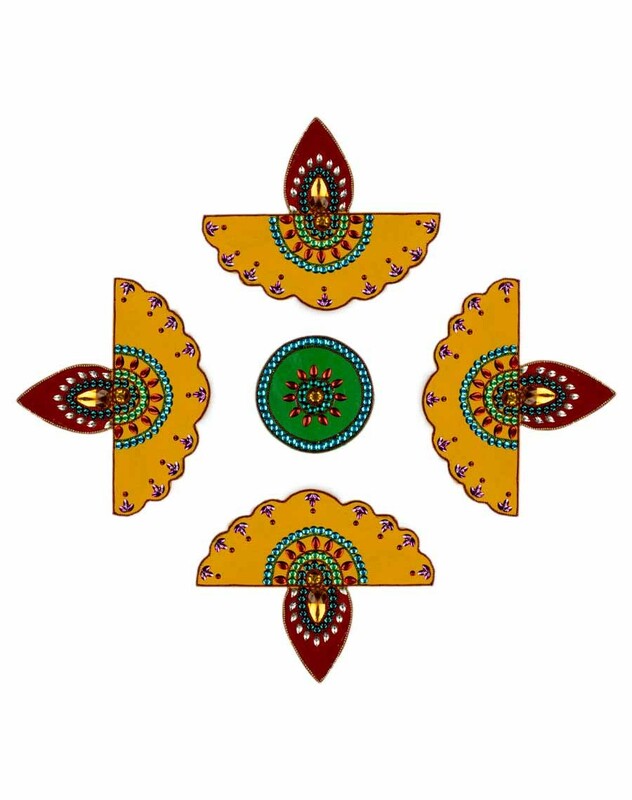 Rangolis are part of every Indian household. This readymade rangoli is made out of wood and consists of four pieces along with a center piece. Shaped in the form of a diya, this rangoli can be used Pooja rooms or in the altar as well. It can be arranged in different patterns to form different designs. • Disclaimer: This intricate home decor / handicrafts product is handcrafted and may have slight imperfection and/or mismatch from the product shown in the image as it’s handcrafted by the artisan which makes the product unique.